You must make reservations at least 5 minutes in advance of the time at Thomas Henkelmann - Homestead Inn. Complimentary valet parking is available for dinner service. Luncheon is self-park. Greenwich Taxis and Uber service available. Limousine service and airport transfers can be arranged. Minutes to Greenwich Avenue - main shopping district. Thomas Henkelmann is the perfect venue for intimate weddings, celebrations and executive corporate events. Exclusive use can accommodate up to 120 persons. Fees vary based on afternoon or evening bookings as well as holiday parties in December. 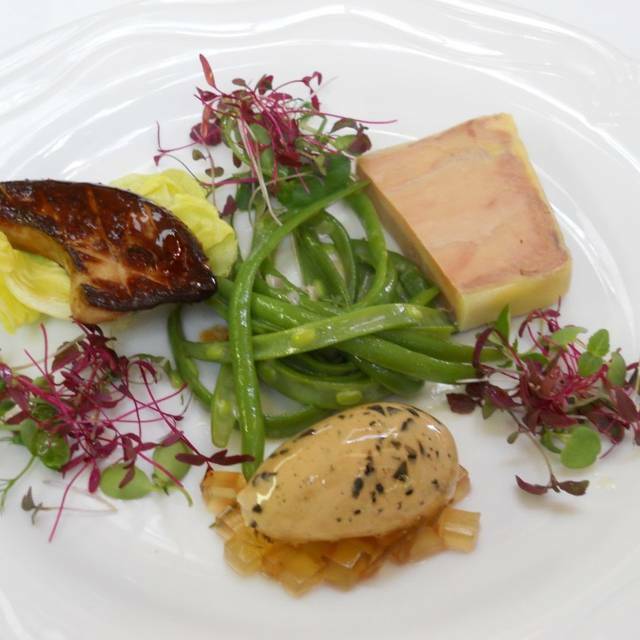 Master Chef Thomas Henkelmann provides a memorable experience with his signature Contemporary French cuisine, seasonal menus, impeccable service and sophisticated atmosphere. Award-winning wine list of depth, breadth and complexity. Welcoming bar, Drinks Room with fireplace, lovely verandah and terrace overlook manicured gardens for summer cocktails. Two private dining rooms available for special occasions. The restaurant is located in Homestead Inn, a luxury boutique hotel in Relais & Chateaux with 18 chambers in Manor House or Carriage House. Available for exclusive use of restaurant and rooms. Separate Cottage Boardroom for executive meetings of up to 18 persons. We had a the loveliest of family dinners. As first-time guests we had only third-party online reviews to set our expectations which were more than exceeded. The food was delicious and beautifully prepared. 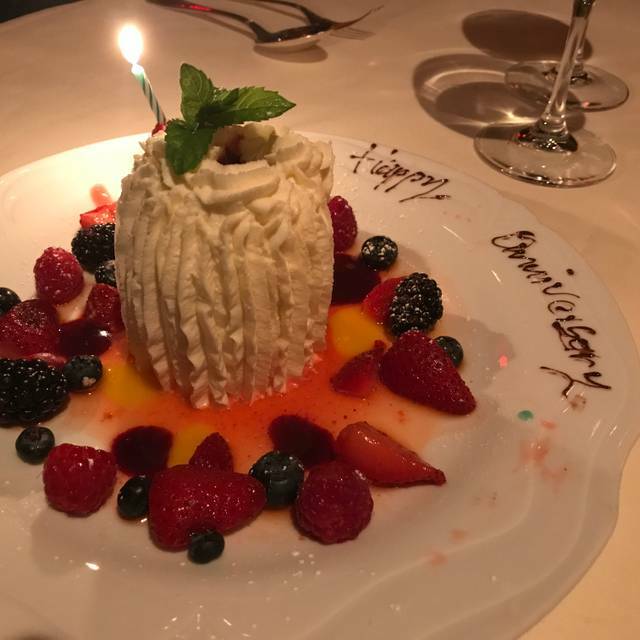 We were thoroughly delighted by the entire experience and especially taken by the warmth of our waiter and the genuine friendliness of the valet who treated us as as though we were long-time patrons. The restaurant has a manifesto that stresses hospitality and they certainly live up to it. We look forward to returning again to sample the lunch menu and will certainly recommend the restaurant to our friends and family. We love this place and the porch is a fabulous place to have a cocktail before or after dinner. Old world impeccable service and charm. And the cuisine is amazing !!! We always enjoy lunch or dinner at the Homestead Inn. The food is excellent, and the staff is friendly and very helpful -- they have been there a long time, and they make every effort to make your meal a memorable one. I especially like the lobster bisque and the warm goat cheese salad as an appetizer (and sometimes both if I can split them with a friend). There are always good selections for the main course, and I often go with the day's special. I admit that we tend to go to the Homestead for special occasions, but it has never disappointed. 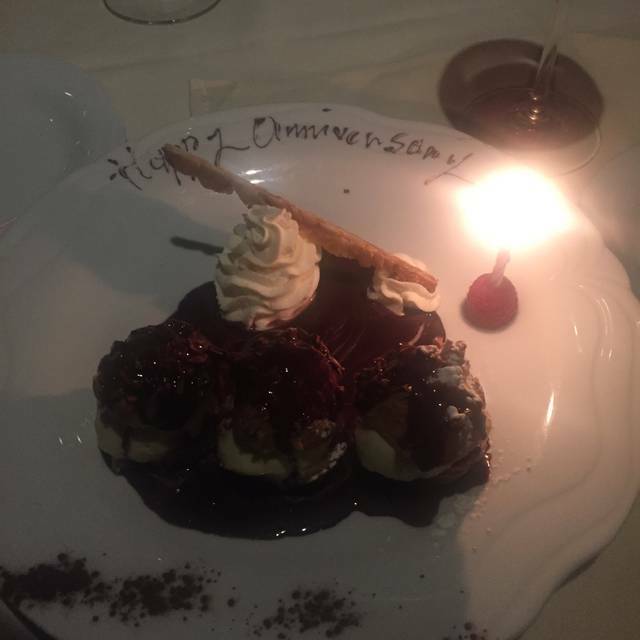 This is our favorite restaurant to celebrate special occasions. 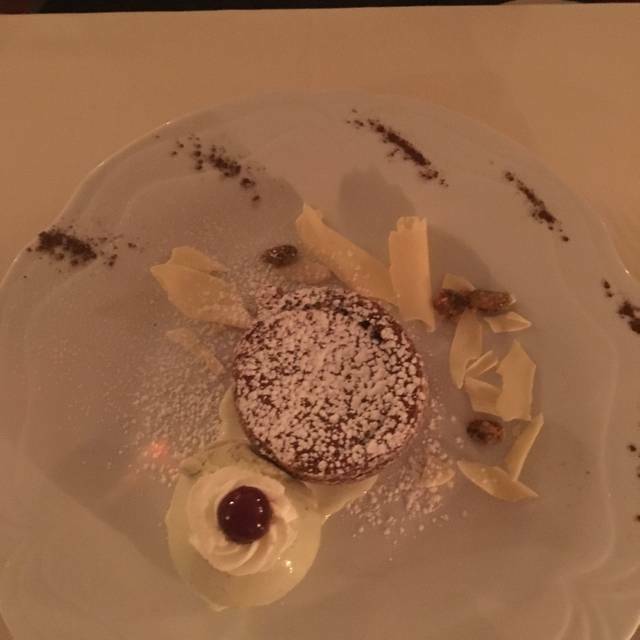 The food is delicious, the service is impeccable and the ambiance is exceptional. Everyone makes you feel welcome. Amazing service paired with delicious food. Both the veal and sea-bass dish left us speechless. Fabulous venue. Excellent food. Romantic ambience with impeccable service. Expensive but you get what you pay for. A top notch dining experience. Big disappointment. Not what it used to be. Undrinkable martinis, confused on orders, rare salmon ..usually, “how do u like your salmon prepared “ , is an appropriate question, long wait for bread, our desserts went to wrong table , no one came to check on our meals once they arrived . No cocktail list when requested, no one checked back on why martinis were undrinkable . Definitely won’t go back. There’s a lot of choices in Fairfield county, maybe that’s why we had no problem getting a table . Everybody was helpful and attentive. The food and service were top-notch. Great restaurant for dinner and breakfast the next morning. It’s expensive but not overdone. We had cocktails before dinner in a quiet cozy side room with a beautiful fire. Dinner in the enclosed porch was delightful — trio of four gras, asparagus soup, duck and Dover sole. Decor is tastefully done and service is very attentive and professional. We stayed as guests at the Inn, as well, and the entire experience left us vowing to return again in the spring. Went for a special, anniversary dinner. Had a wonderful time. Food and service were outstanding, which you would expect at a restaurant in this price range. I did not see much of the Inn, as our table was in the first room, but the decor was very nice. The only other comment I have is the restaurant is “jacket recommended”, but the guy next to me was wearing jeans and a hoodie so the dress code is possibly optional. This restaurant has been our favorite place in Greenwich for years. 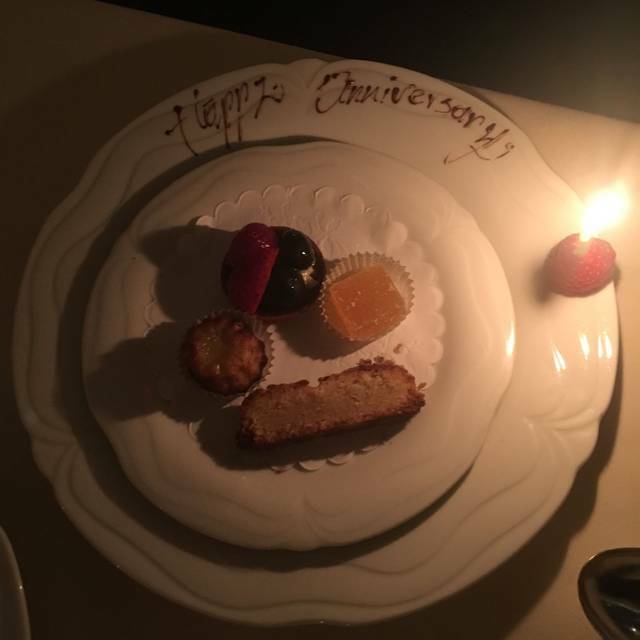 My husband & I used to live in France for many years, and because of this, I wanted to host my 60th birthday dinner at Homestead Inn. I was not disappointed! Everything was superb!! We go to a lot of nice restaurants and I just was not very impressed. It was very old and dated. Excellent as always. Thomas Henkelmann never disappoints. Another incredible birthday dinner for my wife. If you have not tried this restaurant, you should. The best food in the nicest setting with magnificent service. Could not be better. 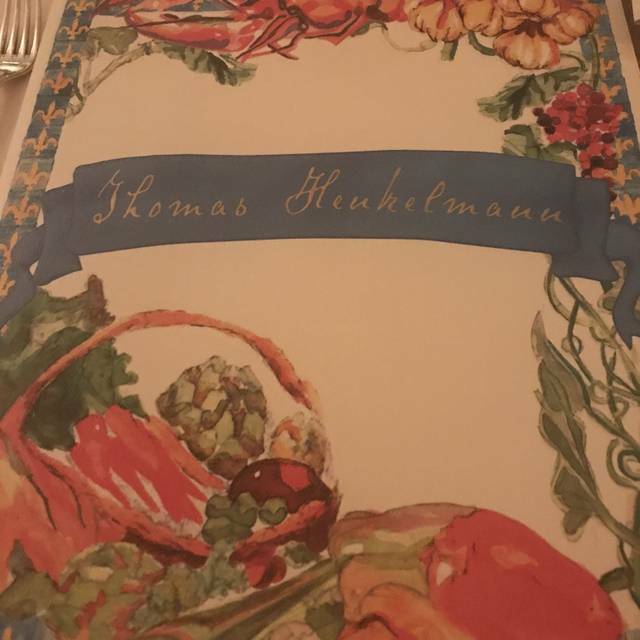 We celebrated our Valentines Day this year at Thomas Henkelmann and everything was excellent. The food was amazing and the staff were friendly and attentive. Thank you for giving us an evening to remember! Never disappointed when we choose to eat here. Outstanding service and delicious food. Crab cakes were outstanding, rack of lamb and duck were perfect and the chocolate soufflé was probably the best I’ve ever had. We have dined at Thomas Henkelmann many times over the years and it has been our “go to” for special occasions. I don’t know the story on this visit. I hope it was a bad night and not an outstanding restaurant going downhill. On this night, they were serving a four course prix fixe. I had the lobster bisque which was OK and the duck which was Unusually dry. My wife had the salmon and it tasted like a cheaper filet of farm raised salmon and the entire presentation was bland. Service was spotty. We had wrong drinks brought to our table, entrees mixed up and coffee came after we had finished our desserts. I would have liked another glass of wine, but my glass was empty for 15 minutes before our server noticed. Thomas Henkelmann has earned the benefit of the doubt from us over the years so we will go back. But if we have the same experience again, it will drop out of our rotation. Loved our waiter! A nice addition to the menu would be glutton free bread in addition to the other breads offered at the beginning. The food is amazing and the service is impeccable. One of my favorite places to go. Wonderful dining experience. Beautiful, tranquil and elegant ambiance. 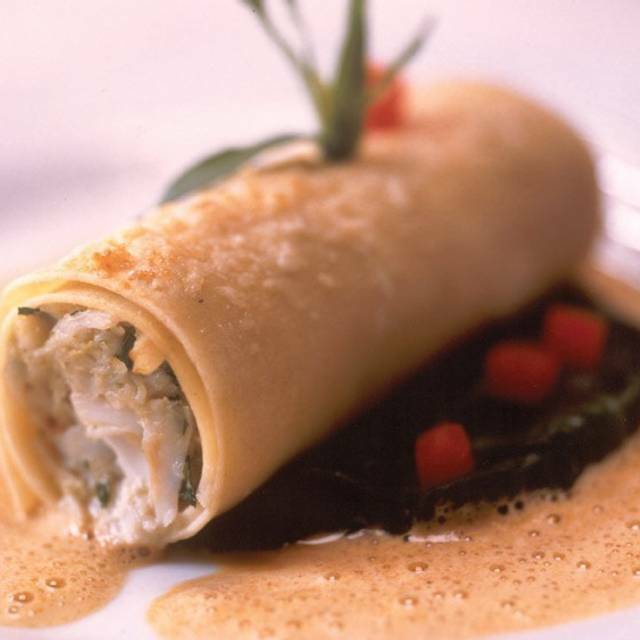 Excellent and beautifully-plated food, including starters, entrees and desserts. Superb service from the moment we arrived, including our dining staff and wine service. Went to celebrate a birthday and could not have chosen a better place. Had wonderful evening entertaining dear friend from Chicago. Food, ambience, service. All first class - world class. Staff exceptional - knowledgeable, warm, sense of humor. Pay attention without being the least intrusive. Great eclectic bar area - before or after dinner drink. Continues as the most sophisticated, interesting restaurant in Greenwich area. We came to celbrate my wife’s birthday... we truly had an amazing time. 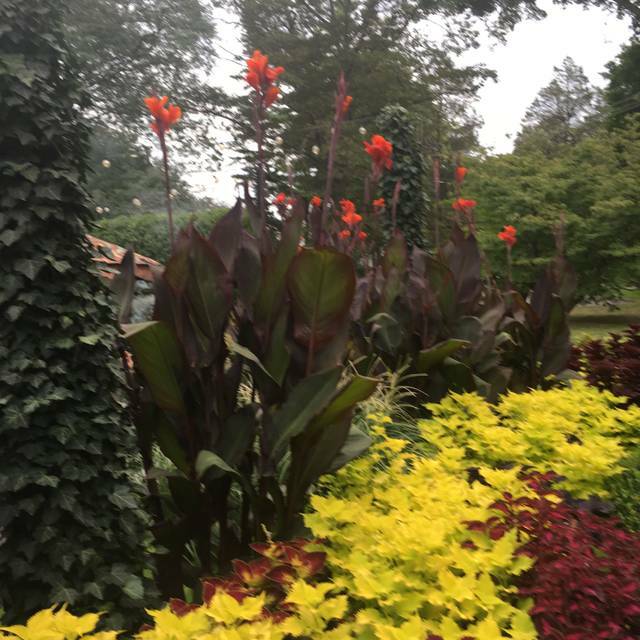 We came with a 5 years old, and usually, these places are not too excited about it, but from the Maître D to the kitchen server, they were all really kind to us, they gave us a great table, really an outstanding staff. The food was great too, classic, but very well executed! The timing was percect, the decor exquisite, an memorable experience! 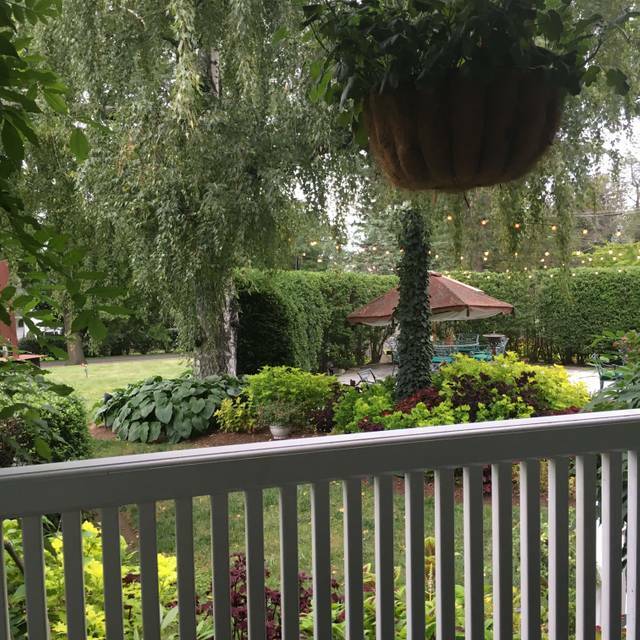 The Homestead Inn & Restaurant is one of the best in the tri-state area. The food is spectacular - - the wine list is great - - and the service very professional and friendly - - I also like the valet parking. What more can I say - - go as often as you can and enjoy a great dining experience. One of my favorite restaurants! So glad we are moving closer to it this month ! Keep up the great work ! Don’t change a thing ! We celebrated our 50th wedding anniversary and it was fabulous. Their attention to detail and quality is unsurpassed in Fairfield County! Once we were given a nice table, and not one in Siberia, everything was lovely. We enjoyed our dinner and especially the service we got from our head waiter, George. He went above and beyond to make our evening special. Without a doubt the best dining experience in Greenwich, CT especially special during the Holiday Season. Outstanding! It is our favorite restaurant in Greenwich. Never disappoints. Food, service and ambiance...esp at Christmas are all great but when you spend $400 per couple for dinner youd think you'd get more than a choice of TWO WHITE WINES OR TWO RED WINES by the glass??? Huh? Is this 1952? They really need to up their game on that. A gem. The food is sensensational and the service is first rate.